This black drama on Showtime sheds its light on a South Chicago Community that undergoes a lot after a series of events brings the lives of its resident Brandon, Emmet, Ronnie and Kevin together in expected ways. Where can you stream The Chi? On 2018-01-07 Drama TV Series The Chi first aired on Showtime. 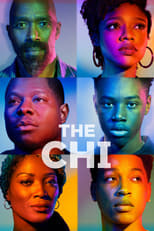 Written and created by Lena Waithe, and produced by Fox 21 Television Studios & Showtime Networks, The Chi will return and was last broadcasted on 2019-04-14.